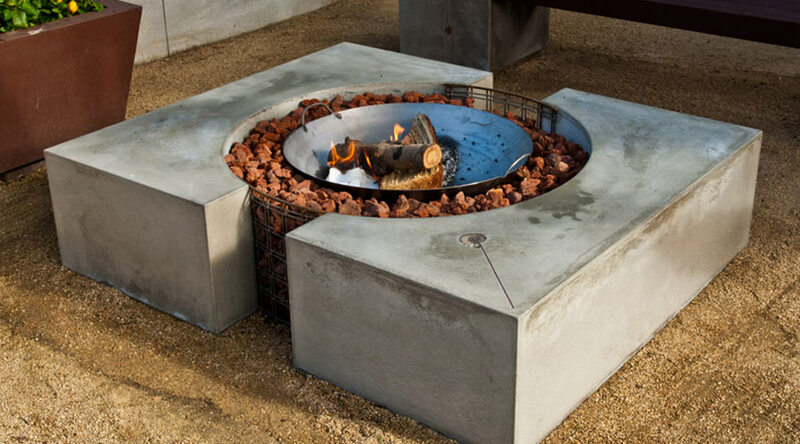 Part modern and part rustic, the Quadra Concrete Fire Cube was expressly designed by Fu-Tung Cheng to rekindle the nostalgia of gathering around a wood-burning campfire. The Quadra provides mass appeal with dimensions of 48”W x 58”L. 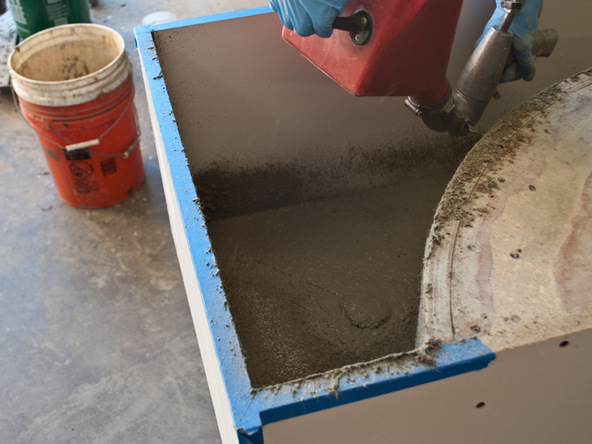 Utilizing CHENG D-FRC mixes, each finished Quadra section weighs less than 150 pounds, making it easily moveable any place within your backyard or from one home to the next. For more details about Quadra’s design objectives, don’t miss Fu-Tung’s video. 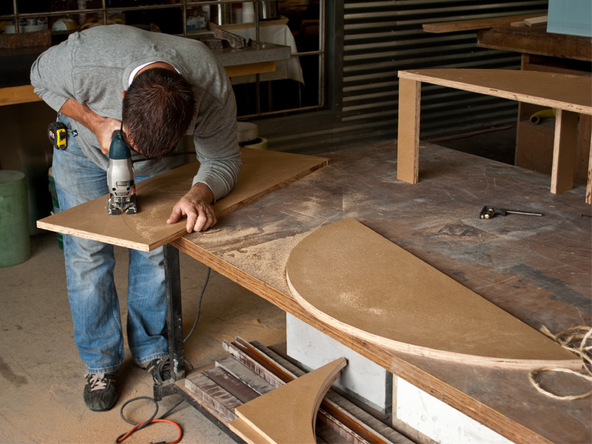 Even experienced carpenters will find this challenging. The projects “high” difficulty rating was awarded for the complexity of the curved inner form. 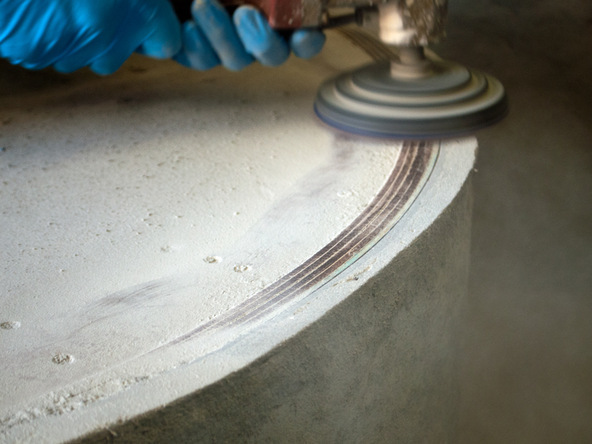 The high vertical layups require you to take your time and insure previous layups are firm enough to support the full wall thickness while casting. If you are careful when removing the form to avoid chipping, denting, or scratching it, you should be able to cast many times with this single form. 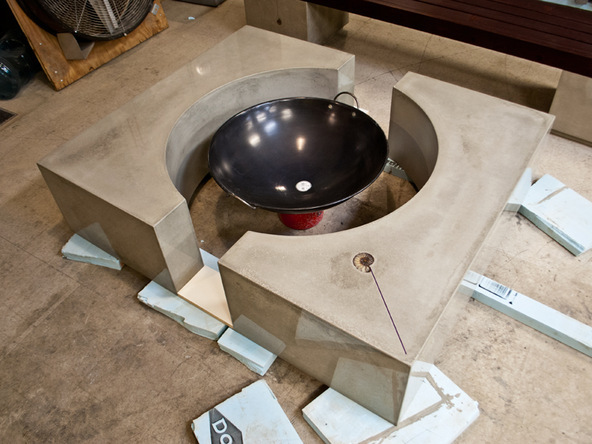 Since each half of the Quadra Fire Pit only weighs 120 – 150 lbs, the installation and assembly can easily be accomplished by two people.